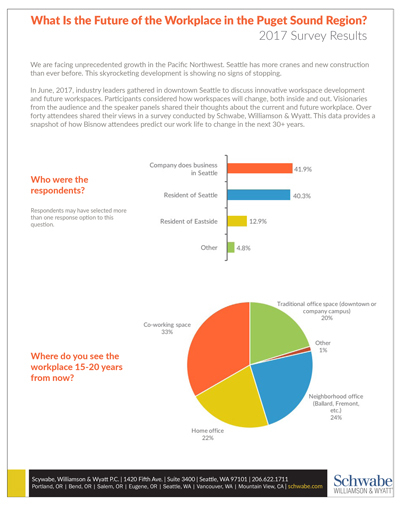 On July 24, 2017, attendees of Bisnow’s Workplace of the Future event were asked to respond to several questions regarding where the Puget Sound region’s office market is today and where it might be in the future. Here’s an overview of what they told us. Response percentages are based on the number of responses to each specific question. Respondents may not have answered all questions.